It’s hard to believe that using this little book, making this small change in your life, can have such a big impact in the way you feel day to day. But it can, and it will. It will bring you from chaos to order. From stress to breathing a sigh of relief. It’s all about having a system. 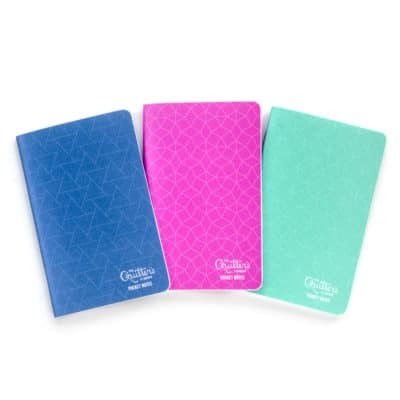 The mini planner is special because it can go ANYWHERE with you! It’s cute little size ( 5″ x 7″)means that it always fits in your bag, and it never weighs you down. It’s always there for you when you remember the really important little things that MUST get done, like that birthday gift you almost forgot to buy, or the fact that if you forget to bring home toilet paper again there will be a mutiny in your household. Everyone in your family will be thrilled that you have this little tool in your bag at all times. 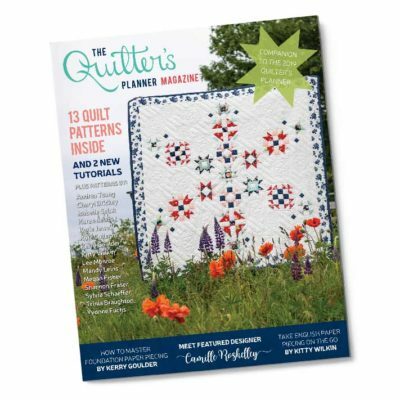 You’ll also love to plan quilting projects in the QP Mini. 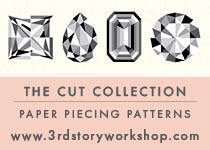 Despite the small size, there is plenty of room to jot down the specifics for your projects. 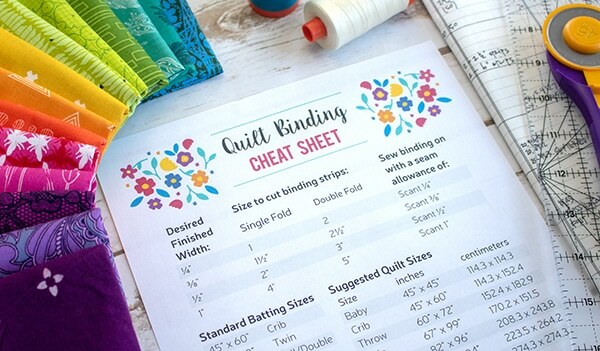 Print out a little picture of what you plan to make, or sketch it out on the graph paper, and make a note about how many blocks you’ll include, or the yardage you need to buy. And it’s perfect for adding swatches below the picture. 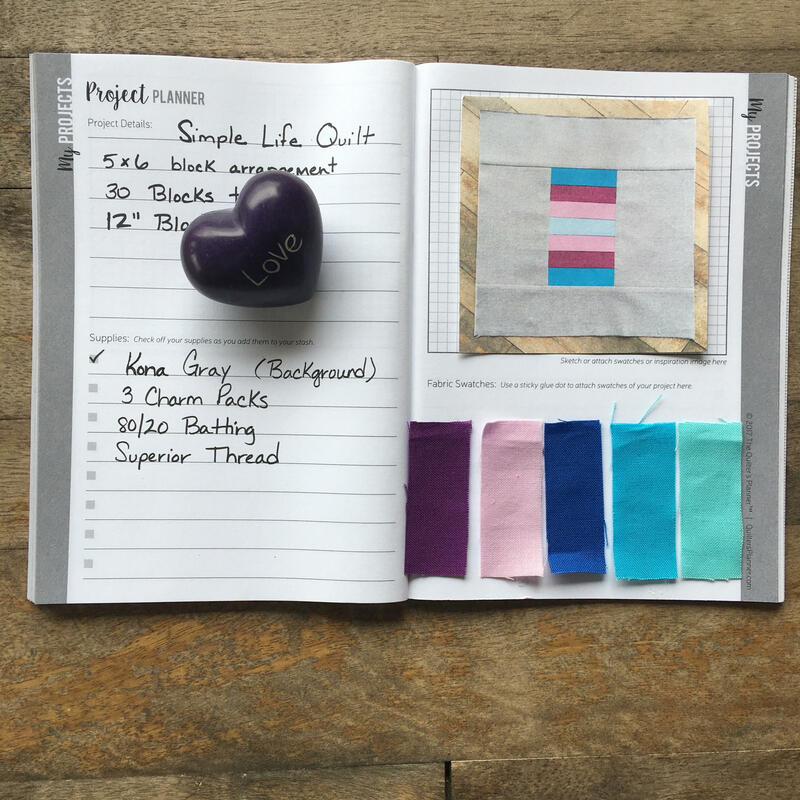 No more lingering in the fabric store wondering which gray fabric were supposed to get more of in order to finish the quilt you started 6 months ago! You can even check off supplies as you buy them. 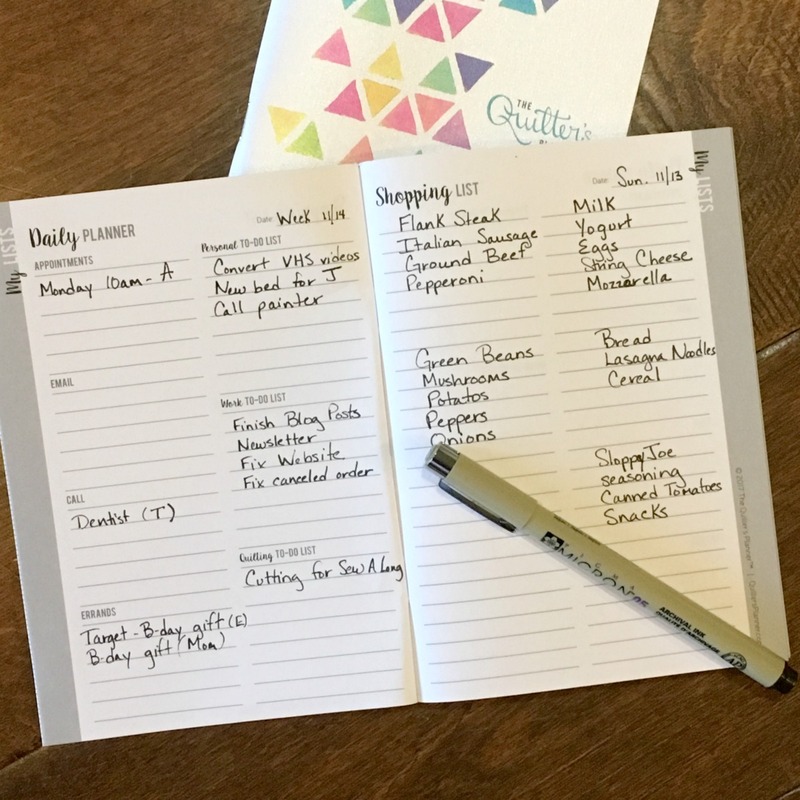 Call me sentimental, but I personally also love the fact that my QP Mini is a little snapshot in time – a photograph of what my life looked like in that month. I keep them on my shelf, and I know I’ll love flipping through them someday reminiscing about the hectic nature of life with 4 young children and a job that I love. You may be surprised to discover that listing all your current projects in one place brings a great sense of relief. 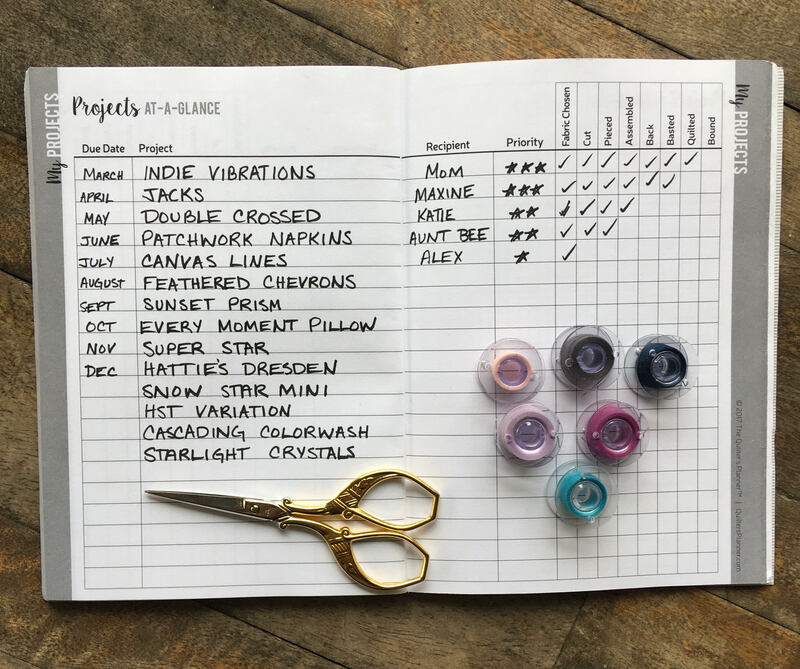 The relief comes from being able to pull them out of your brain, where they were stuffed in a little corner, in the same compartment where you hold your guilt, and instead put them down on paper; the satisfaction comes when you begin the process of checking tasks off your list. You will literally feel the stress melt away as you’re writing. Any psychologist worth her salt can tell you that the paper now is the container for the anxiety. I like to think Papa Freud would have liked the QP Mini quite a bit. 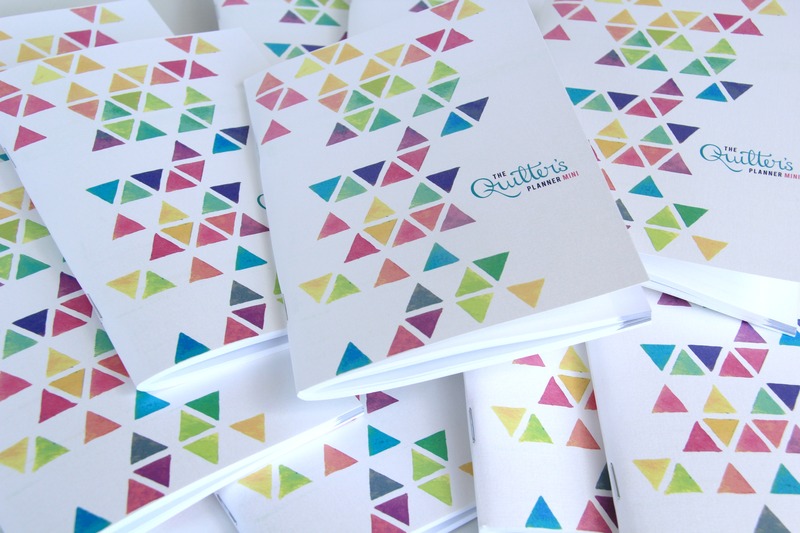 The Mini Quilter’s Planner is 80 pages, and is designed to last between 1-2 months. They’re only $12 each, with a minimum order of 2. 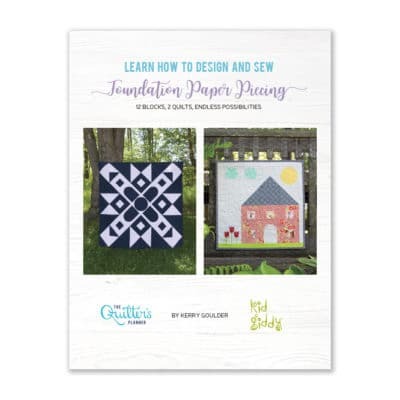 Don’t forget to check out the adorable pattern for the Mini Quilter’s Planner Notebook Cover pattern by Angela Bowman. 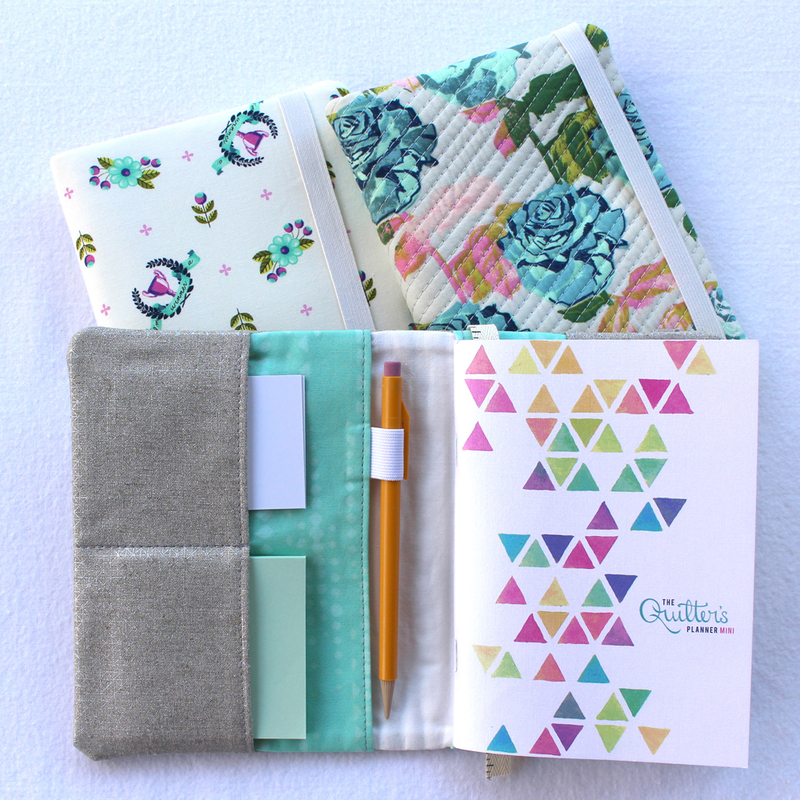 You’ll want to make a new one of these for each new QP Mini you use. 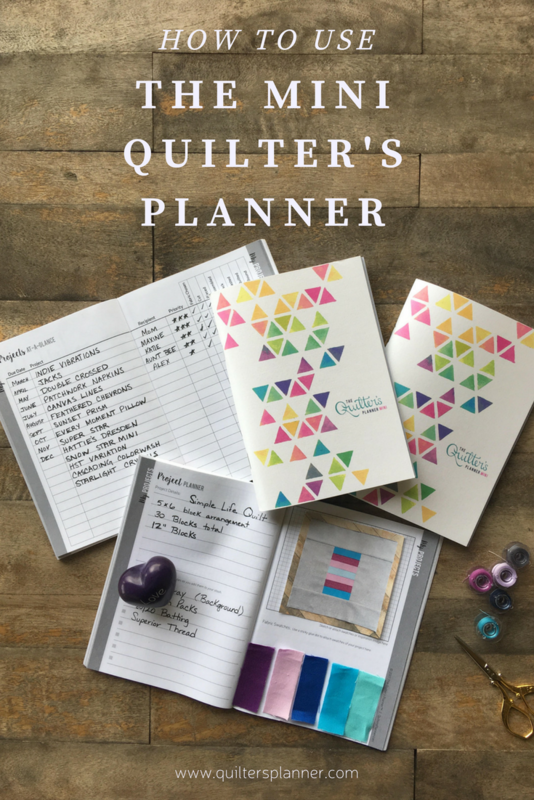 Please come join our fabulous Quilter’s Planner facebook group, where we share ideas and inspiration every day! Hope to see you there!